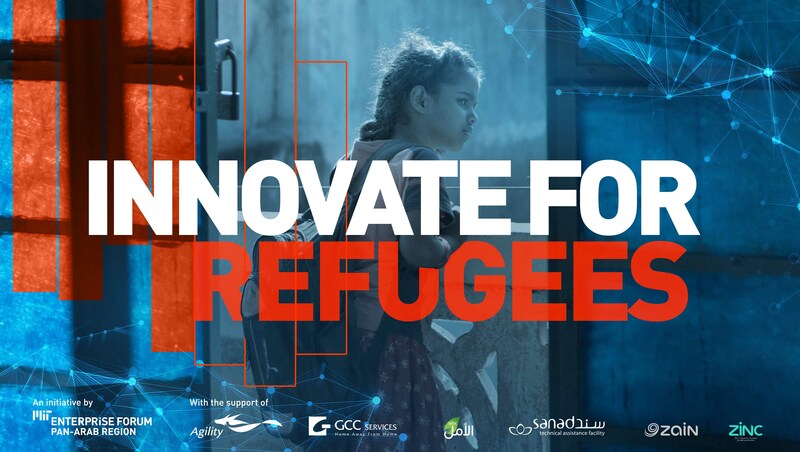 The third edition of Innovate for Refugees, an initiative by the MIT Enterprise Forum Pan Arab, kicked off on August 1 with the support of Agility, GCC Services, Zain Innovation Campus, and MBC Hope, in addition to over 30 community partners. The competition launches after 2 successful editions where over 3,000 applications were received from 50 countries, and 250,000 USD have been awarded in equity free investment to 12 tech driven solutions addressing challenges faced by refugees all over the world. Winners from the second edition addressed the challenges of employment, education, housing, and health. And while 88% of the surveyed semi-finalists indicated that they met new partners or clients as a direct result of Innovate for Refugees, 24% attributed their ability to raise additional funding rounds due to their participation in the competition. Innovate for Refugees competition also acts as a platform that helped many innovators take their ventures to the next level. “We were able to grow from a volunteering initiative to a social enterprise” say the founders of Open Embassy, one of the winners of the first edition. The competition’s platform will continue to accept applications until November 2, after which the announcement of the 20 finalist teams will be made on November 21. For this edition, submissions are accepted across 2 tracks: Ideas and Startups. The Startups track caters to legally registered companies where applicants are required to have a working prototype and ideally some user traction and sales. The Ideas track caters to entrepreneurs with innovative ideas without necessarily having user traction or sales. As part of the application form, candidates are also required to submit a video pitch. Keeping in mind that the video pitch makes up a considerate portion of the grade, it does not have to be professionally produced but rather be of good sound and voice quality. Make sure you highlight the business model and the team behind it. All 20 semi finalist teams will participate in a 2 day training program that covers topics focused on like design thinking, prototyping, fundraising, and scalability. The training will also cover pitching exercises to which prepares the teams for their final evaluation. To apply, candidates need to visit the Innovate for Refugees website, click on Apply Now and create an account. You will have to select the language of preference and the relevant track. The winners will be announced during a ceremony planned to take place on January 27 in Amman. The winning solutions will prizes of over 100,000 USD in equity free investment, mentorship, and exposure.